One of the cool things about being a photographer is getting to know other photographers -- and getting to play with their equipment! 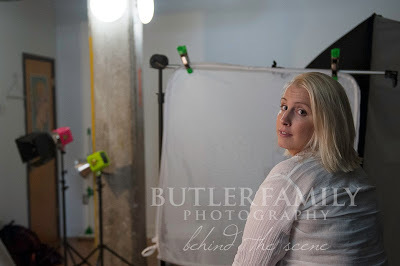 On Saturday, my friends Jennifer from Whistling Girl Photography and Christie from Christie Lynn Photography and I spent an afternoon shooting in studio. 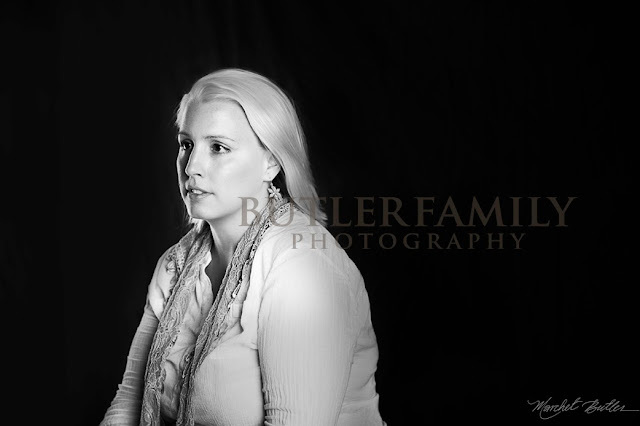 We practiced lighting patterns, experimented with backgrounds, and set up the equipment for Jennifer's shoot that evening. 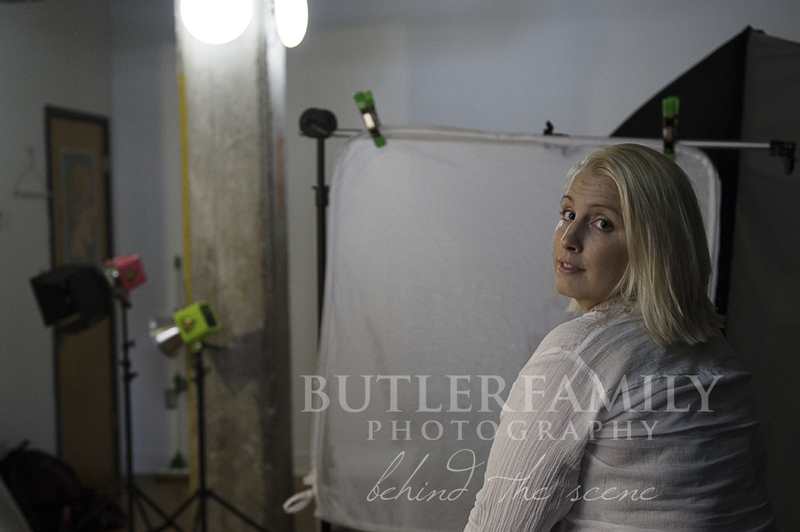 Plus, we had a good opportunity to work with my new toy, this reflector stand. As you can see, the key light did most of the work, but the reflector helped fill in a bit of the shadow on the short side of the model's face. I love using reflectors as fill, but (unlike this time), I'm usually alone and have to do all the lighting work myself. So, having a reflector stand has been wonderful. The stand itself is nice -- better than my other Westcott stands and spring loaded as well. 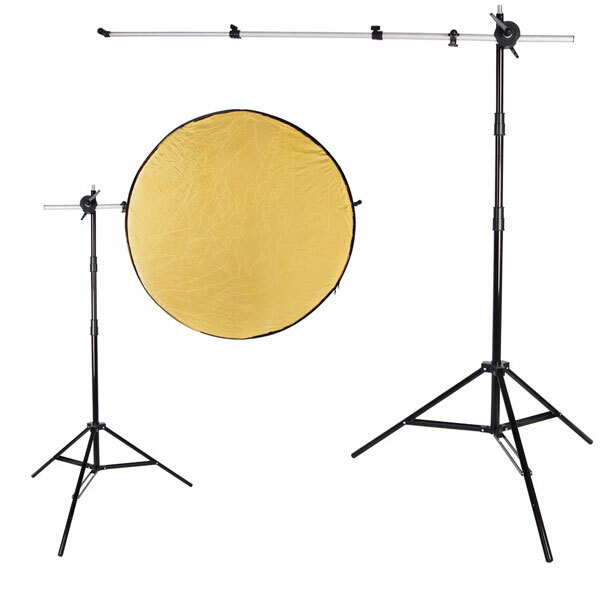 You can use the stand as a regular light stand if you aren't using it to hold a reflector. The grip holder could have been made of sturdier plastic, but it worked fine. The arm is very light and there are little clips on the arm to hold your reflector. But, I just used my own clamps instead. 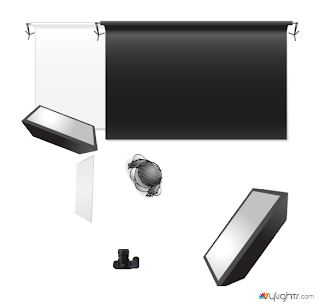 The reflector stand doesn't come with a reflector, but the LA Shop sells this 5-in-one Reflector which would work well. 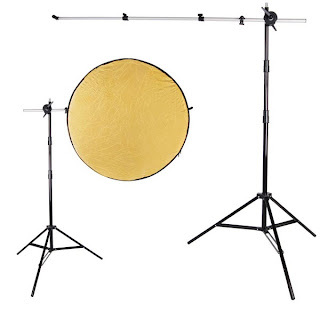 I'm not really font of the round reflectors, so this rectangular one is nice -- and at a great price. The one thing I should have had was this Sandbag for Boom Arm. It would have come in handy since my reflector was held up by my clamps and it needed a counterweight. Also, it would have been nice if the reflector stand had come with directions. It's pretty simple once you figure it out, but I didn't know how to put it together at first and it was a little confusing.